Several days after I started various experiments with Rin. As the village sub-chief, the bar master paid me a visit. When I said that, the village sub-chief refused in regret. And so he briefed me about it. The Holy Kingdom’s something of a religious nation. And it appears to be the empire’s bordering country. The saintess was one of the Holy Kingdom’s symbols, a woman who held the power of a strong saint. When I stealthily checked out the map, there was an existence in the adventurer guild that was worth 250 DP per day. … So that person’s the saintess, huh. Wait, doesn’t it feel like this course of events already happened back with the hero? … So she’s a religious nut? Probably. Religion is scary. But for her to be 250 DP, Rin really is an overwhelming existence. It might unexpectedly be possible for her to be on even footing against Rin because she’s its weak point…. but it’d be ideal for them to destroy each other. Because of that, it was decided I would talk to her as the village chief. Seriously, I thought I was just the bobble head chief, I shouldn’t have to be working here! Though I guess greetings might be jobs for figureheads, huh. I want to get back to sleep. Me and the saintess with a needlessly long name met in the parlor of the village chief’s residence. Alka smiled, her long and emerald green hair gently spilling downwards. She looked something like a gorgeous nun. I think this is the first time I’ve seen something like green hair, this world included. Well that was sudden. Is she unexpectedly a bit worldly-minded? Or maybe she’s used to acting as an adventurer? Staying alert against the saintess’ jabs, I responded. 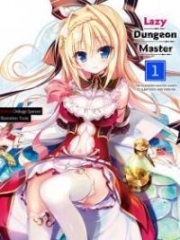 Rather than it being ordinary work to destroy the dungeon core, she would even pay money for it. But still, no. I’d die. According to my announcement of Gozoh+Roppu’s Love Love Village, it’d be shortened to Go+Ro’s Love Village (temp) huh. While I was thinking about that, the saintess probably took it as me thinking about the offer and pressed on. Too stingy for first class huh. Well, maybe that’s as much special privilege you’d get for being a village chief in an unnamed village. I don’t understand it too well, but that doesn’t matter. In other words, this saintess is of the relatively discriminatory type. When I responded, the saintess opened her eyes wide in surprise. She seriously didn’t expect it, that’s what her eyes were saying. Even if it was bait, it’s not worth my life. Taking a deep breath, the saintess seemed to be thinking about something. Saying that, the saintess stood from her seat and started to leave the room. … Since she was looking around as though to take small peeks at me, I decided to definitely not stop her. She’s waiting for me to call out for her to wait with something like, “With those conditions, after all—!”. I don’t know if she herself was intending to bargain, but she was incredibly obvious. Three minutes later, the saintess finally made her way out of the parlor. She waited outside of the room for seven minutes after that for me to chase after her. It took a good ten minutes after that for her to leave the village chief’s residence. I wanted to shout for her to just hurry up and leave.